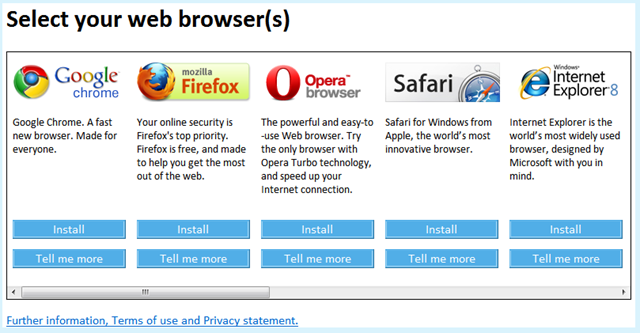 In case you had not already heard Microsoft have had to release an update for all European users to prompt display a ballot screen about what version of browser they want to use (see below). This is one of the actions Microsoft had to do to comply with the EU anti-trust case. 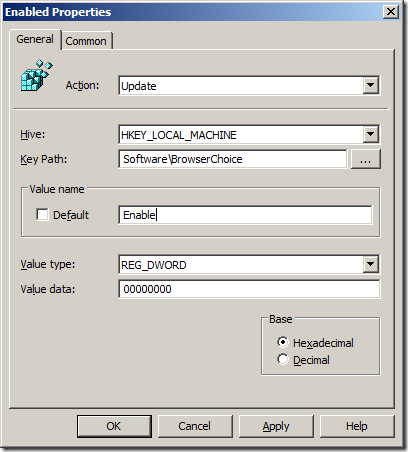 Microsoft have released article KB2019411 explaining how IT administrators can disable a Browser Choice screen for their users using a simple registry key. Now of course you can deploy registry key using Group Policy Preferences which will make it much easier for IT administrators disable this screen. Step 3. 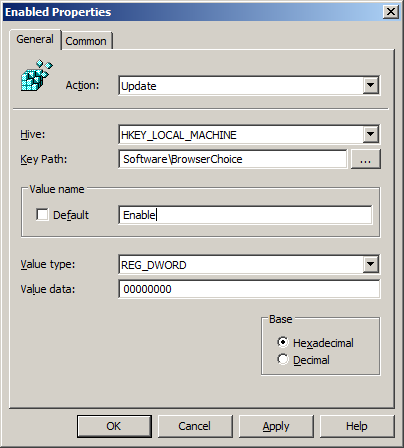 Type “Software\BrowserChoice” in the Key Path then type “Enable” in the Value name, then select REG_DWORD as the value type “0” in the value data and then click “OK”. If all that is to much hassle to do all that below is a link to the Group Policy Preference XML file you can just copy into the policy. According to the Microsoft KB-article the Value name is “Enable” not “Enabled”. Thanks for the pick up. I have now fixed the article. I just noticed something, apparently this key varies from computer to computer when its disabled. Looks like some built-in security. But I tried to deploy with Group Policy but windows keept going back to default mode. And I noticed the registry value was different from computer to computer. Hmm… thats interesting becuase according to http://support.microsoft.com/kb/2019411 its a static value… what variance are you seeing? I have a question about your post. Well, I create a new GPO and I edit it. I read Computer Configuration but then I can choose Software Settings, Windows Settings an Administrative Templates, not “Preferences”. Am I making an error? I’m using a Windows Server 2k3 and I thought to set in my server this GPO….it is possible? No. You have to be using Windows Vista/2008 or greated to manage group policy preferences… however you can download the client side extntions for 2003/XP to enable the setting for that environment…. Its just they need to be managed from a Vista/2008 or greated environment. Then, if I’ve understood, I can do it by a GPO on my server Win2k3 with the client side extentions, is it right? Could you say to me where I can download the client side extentions for 2003/XP? In summary you need to install the Client Side Extentions on XP/2003/Vista… and you need to install the Group Policy Management Console at least ONCE some where on your domain on a Vista/2008 or greater computer to manage the policy…. 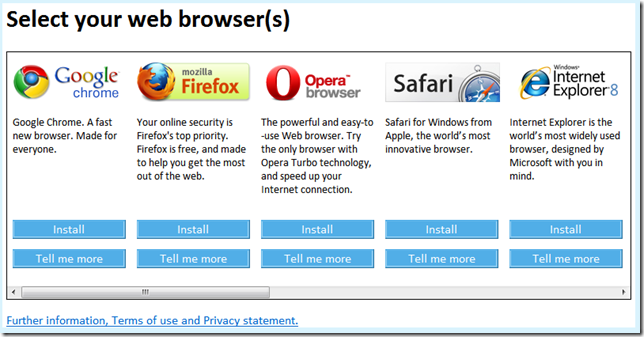 (NO SCHEMEA OR DOMAIN FUNCTIONAL LEVEL UPGRADE REQUIRED)…. Now I’m opening kinks and I read its. Ops…I’ve made an error….I’ve written kinks but it was links…sorry.